Here, you will find my ramblings about my native country, Ireland. The topics and interesting links are set out in the side panel. Mother Nature (by Henry McGrane) was an exhibit in the 2011 outdoor exhibition of sculptures in the National Botanic Gardens, Dublin. The placement was excellent, particularly because of the symbiosis with the shape of the naked tree, behind. 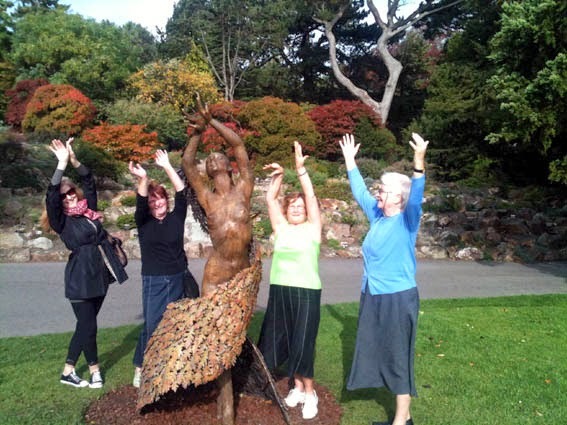 Patricia, on the left, was once a ballet dancer and best captures the pose. 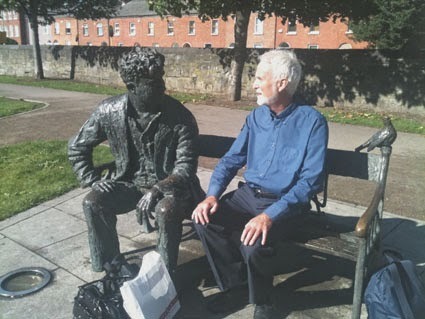 Krunchie chatting with Brendan Behan on the banks of the Royal Canal. Proinnsias Ó Cillín. Simple theme. Powered by Blogger.